"The truth." Yes, how dare I not take your word on something that you posted. I have no idea the context of what you posted, where you found it, or who posted it, but clearly it's fact. You never supplied a link for that, yet continue to badger other posters for links. Grow up. you dont seem too bright, so ill slow it down for you. Yet you never provided a link yourself. If you were unexplicably unwilling to provide one, why should anyone provide one for you?...and I'm the dimwit? This team is a joke. Don't you get it? What's worse is the little Bo Peep that stands by her sheep going BAHHHH all the way back to the major. Munchak leaving for a lateral move to a team is telling. The family argument is completely liberal. How often do you really see your family if you live in the same state? Honestly. Talking about you and your family have kids and you see grandpa and grandma. Once a month? I mean, c'mon. The family argument is so liberal and lacking complete thought. Which in itself, is liberal. Okay, this speaks volumes that a guy would go to a worse organization with worse players and a worse chance of winning the ultimate prize because he knows that the team with no weapons and no QB and no players is actually a better shot than a fricken circus. How about this one? The Broncos never really considered Munchak to be Head Coach. Teams with a plan sit down and come up with an idea and alternatives. John Elway is a smart guy. They brought him in to interview, so he would feel appreciated, and gave him the job they always planned on giving him. The Offensive Line Coach. All you had to do was watch the news to see the circus and think would he leave? Would he come here? We can play the family angle. Better environment. All we have to do is give him a little push. Interview him for Head Coach. Really gotta respect Munchaks decision especially considering he himself gave a perfectly understandable explanation. Wish him well. Not gonna lie money, you didnt say a single thing that I actually agree with. I don’t understand trying to use “liberal” as an insult. I guess I’m “liberal” since I visited my Nana living in the same city as me once a week. Seeing my mom living 2 hours from me every other week. I'm sorry but I'm absolutely disgusted with the Steelers the last few years. The ONLY thing they did right in recent memory was drafting TJ Watt. I'm not joking or exaggerating either. That is absolutely DISGUSTING! A guy with as many stupid ideas as you shouldn't be calling anyone a "clown". Pretty much the exact thought we all have everytime we respond to you. You and chrissyororke in the same thread....truly an all-star duo. lol..............just say, 'i know you are but what am i'. i thought it was strange that tomlin thanked and wished porter and saxon good luck when HE 'fired' them but said nothing about munch. Your reading comprehension is just wonderful. I get both sides of the argument. I too am very disappointed in this team. They have wasted golden opportunities and have under-achieved with the talent this team has. I love coach T, but I am very disappointed in some things from an execution/performance and perception standpoint. Our Killer B's have been more team and morale killers' than executioners of our opponents. While Coach T is still #2 in terms of SB appearances, wins and some other stats, The #1 guy Coach Billichick is appearing in his eighth consecutive Conference Championship and a chance to bring home Lombardi Trophy #6. Most fans are pissed off and rightfully so. Our once proud and respected franchise has become a reality show of the Real Housewives of the Steelers (starring the players). To the point that those who bash Coach T complain, this all happened on his watch. Although I am a fan and supporter of Coach T, I have to agree. He is partly to blame for the circus and drama. Winning covers a lot of problems, but losing brings them to light and scrutiny. The Steelers under-achieved and now the media, fans and other organizations are coming after them. Like it or not that is the reality and those who are not fans are even more critical. Coach Munchak is a highly respected figure in the league and is a huge loss for this organization. I have been a huge AB fan and I am extremely disappointed in his behavior and antics as well. It is wrong and outright disrespectful to Coach T and Mr. Rooney. I may not agree with why AB is upset, but the disappointment comes in the way he is expressing it. Ditto for Debo who is taking every opportunity to trash the Steelers and Coach T as well. It has been no secret that Troy Polomalu has not been happy with how the organization treated him at the end of his career, but he did not come out of the shadows to bash Coach T, Mr. Rooney or do anything to give the Steelers another black eye. I learned in business years ago that you praise in public and criticize in private. The locker room is a teams sanctuary. That sanctuary is being violated on so many levels and by so many individuals. Change is inevitable and a necessity. Coach T is an intelligent man, he has pride for this organization, his family name and a passion and fire to succeed, so I do not expect him to fall down crying and feeling sorry for himself.The situation in Pittsburgh is embarrassing right now. 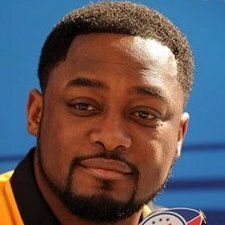 The more AB talks, coaches depart, and the media hypes all of this, it is going to be a hard pill to swallow for the organization and the pain of losing will linger until kick-off in September 2019.